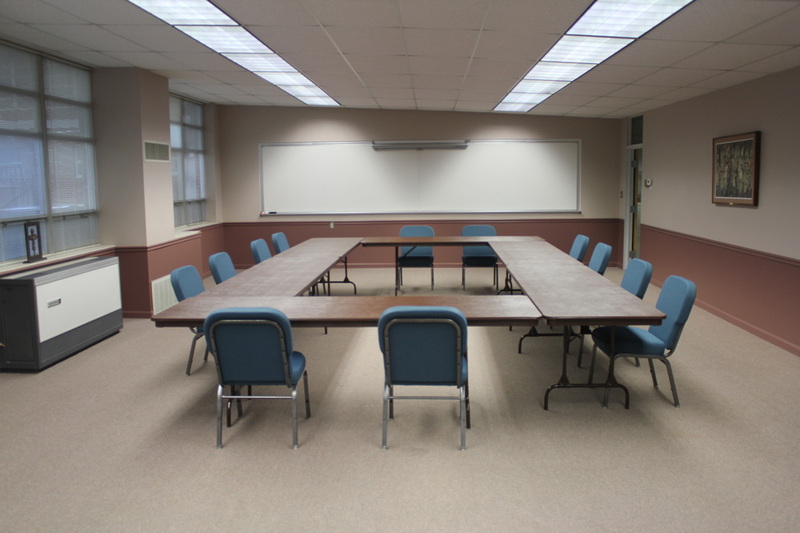 We offer several meeting room choices for varying size groups, anywhere from 2 to 300 people depending upon your needs. 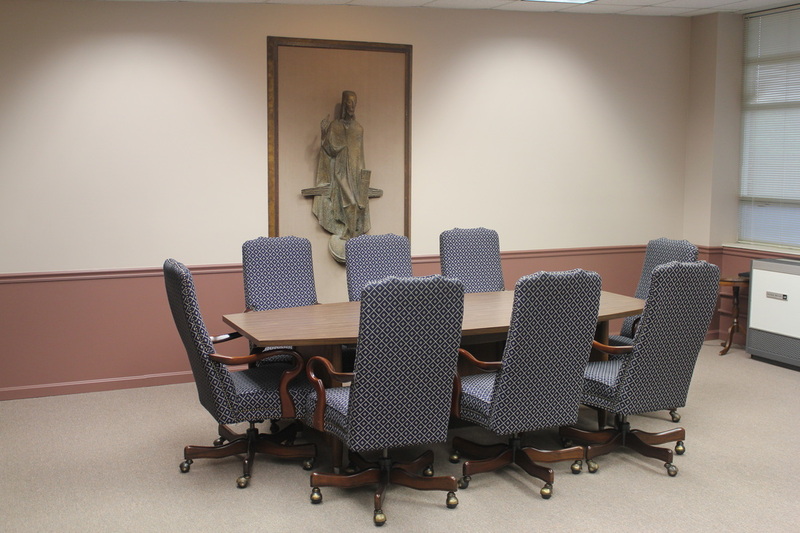 Depending upon your meeting needs, there are a variety of room arrangements that can be used. 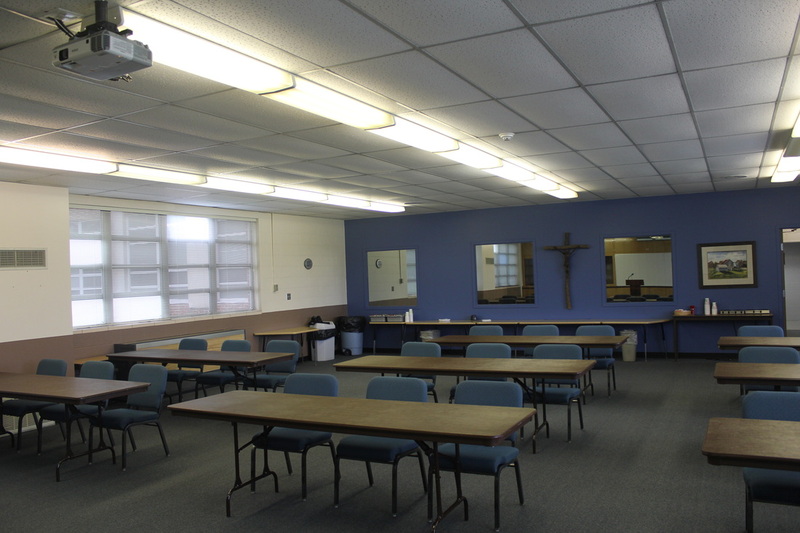 To view possible room set ups, please click here. 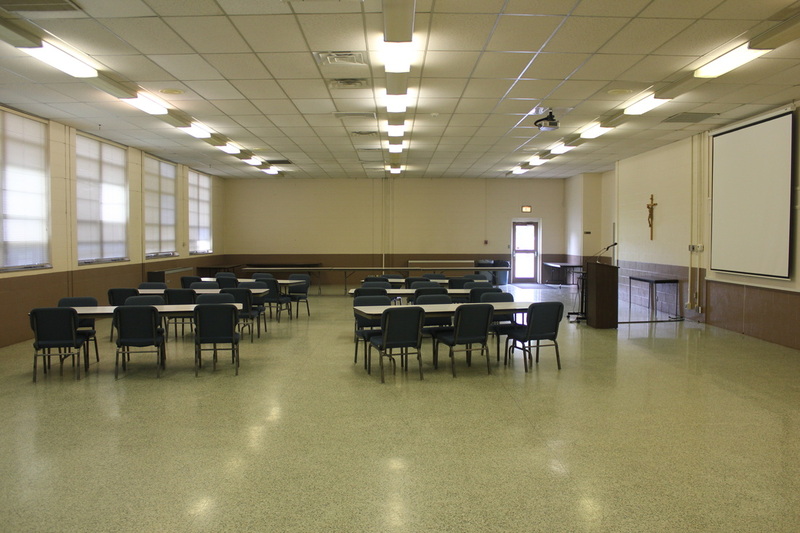 This 41' x 31' room will seat up to 60 people (Theater Style) or 48 people at tables. 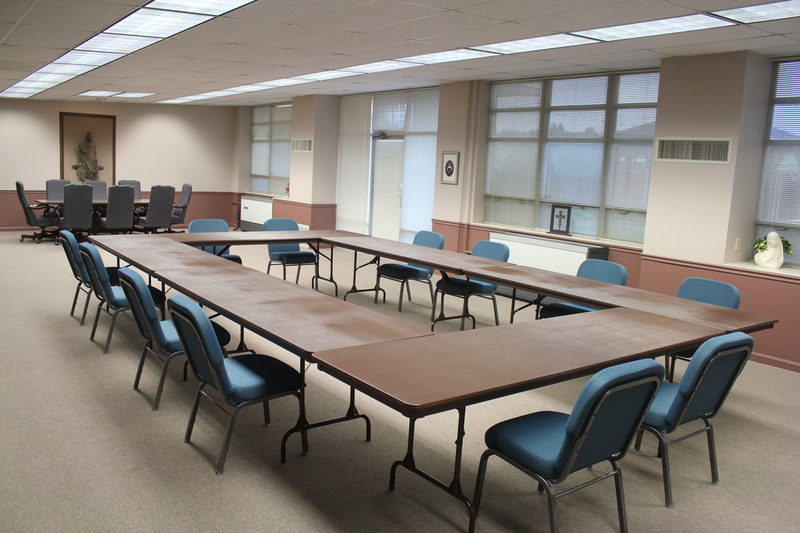 This 73' x 38' room, our largest meeting room, will seat up to 180 people Theater Style or approximately 100 at tables. 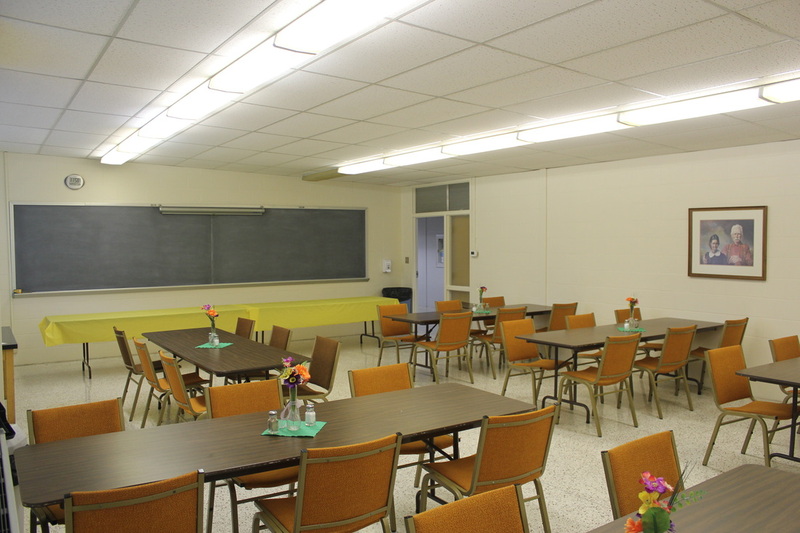 This 51' x 23' room will seat up to 56 people (Theater Style) or approximately 30 at tables. 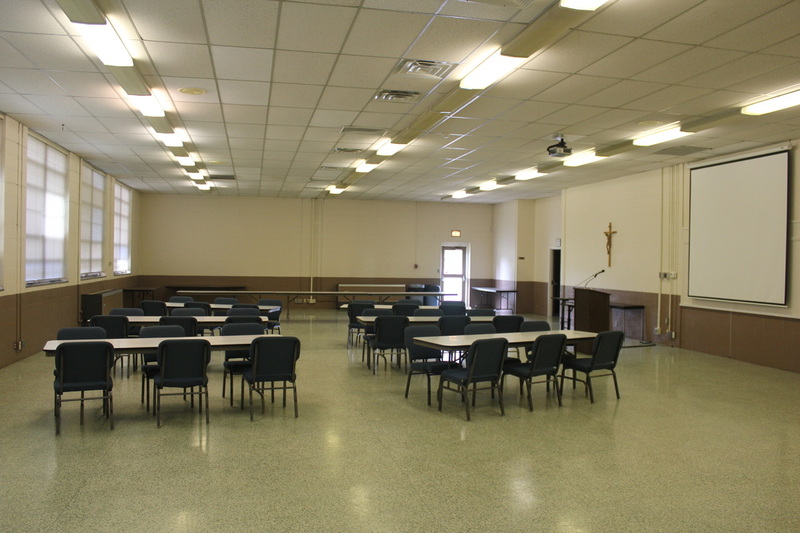 This 23' x 34' room will seat up to 56 people (Theater Style) or approximately 30 at tables. 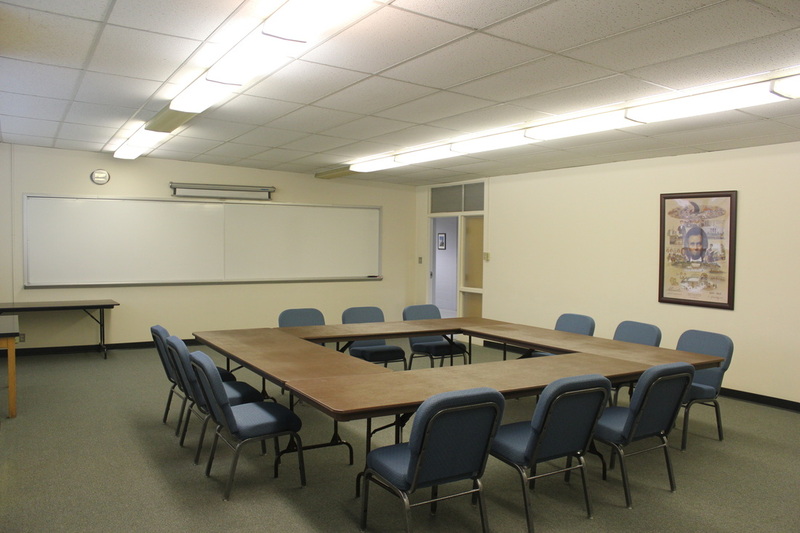 Commonly used as a lunch room for meetings, this 23' x 34' room will seat 36 for a meal. 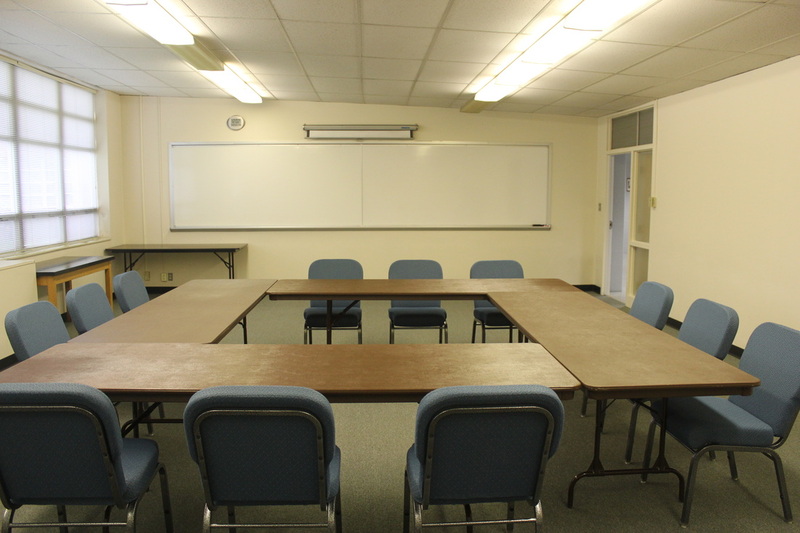 When used as a conference room, it will seat up to 56 people (Theater Style) or approximately 30 at tables. 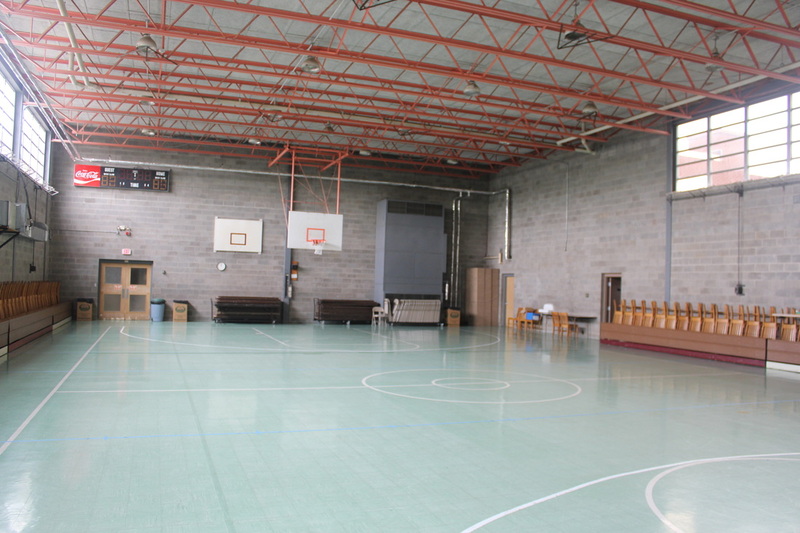 At a size of 104' x 58', this is our largest space for indoor activities. 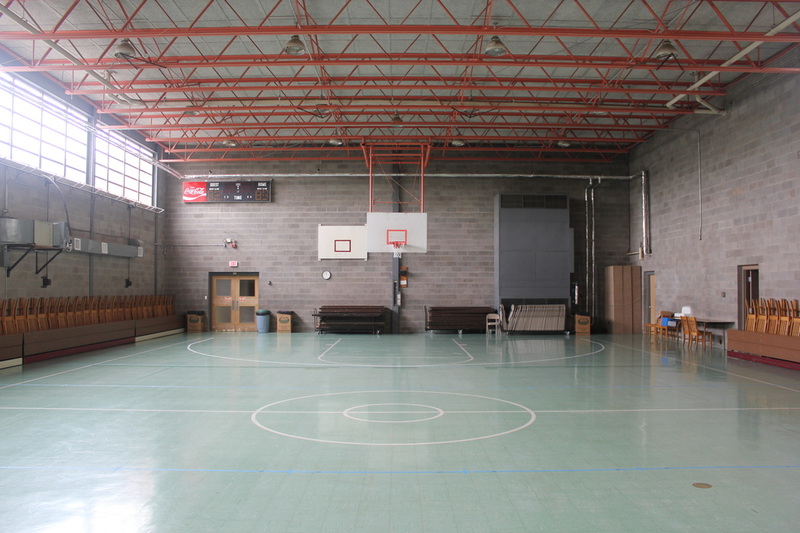 This space can be used as a gym, or for larger meetings will seat up to 300 people (Theater Style) or approximately 140 at tables. 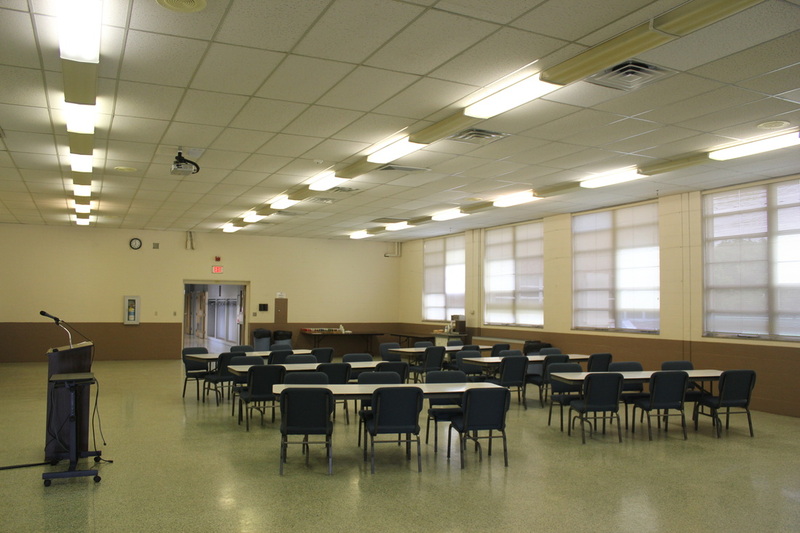 *Maximum table seating capacity is achieved using Banquet Style or Fan Shape arrangements. 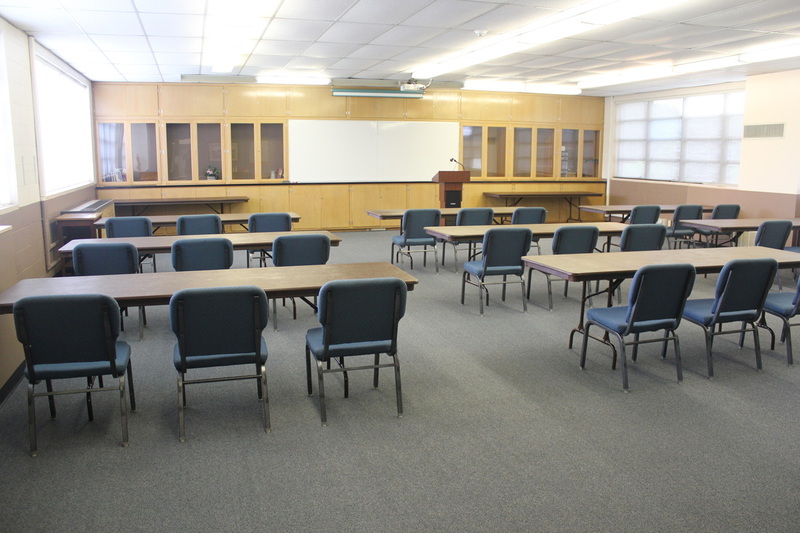 Please click here to view sample room arrangements. 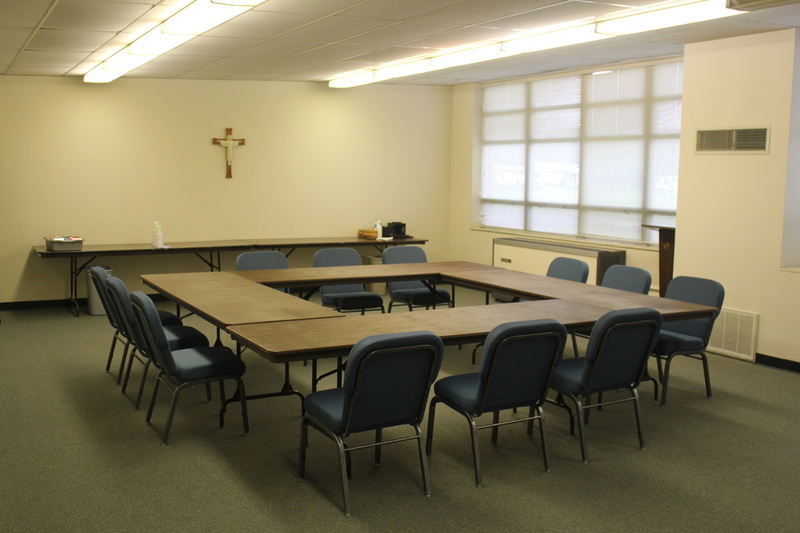 All meetings held at the Catholic Center will receive complimentary ice water and coffee service. 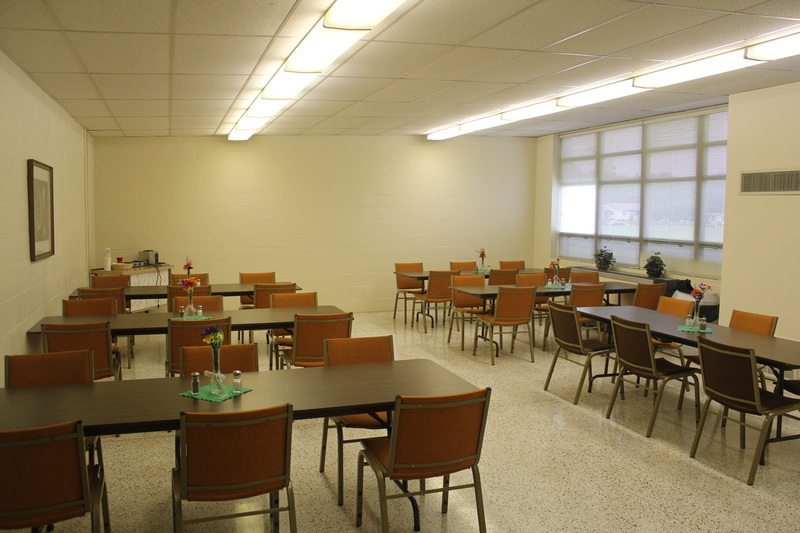 Snacks, soft drinks, and meals can be provided at an additional cost. 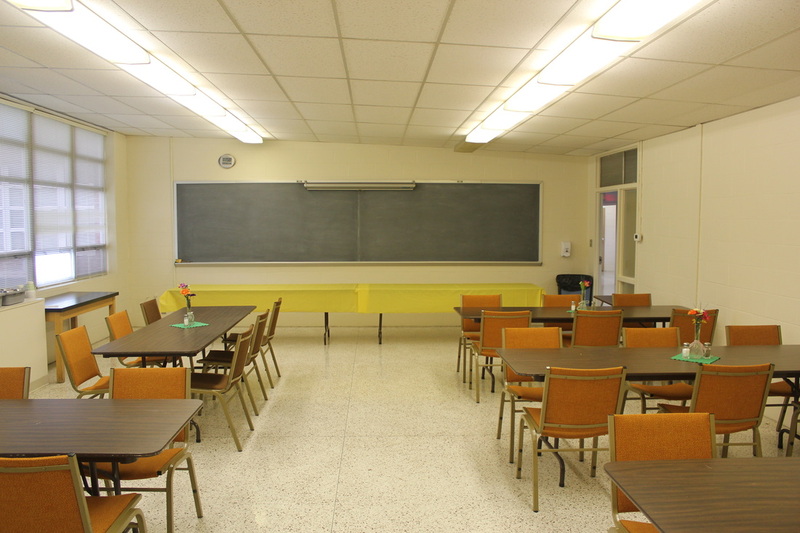 We have a dedicated staff to respond to individual and group needs. 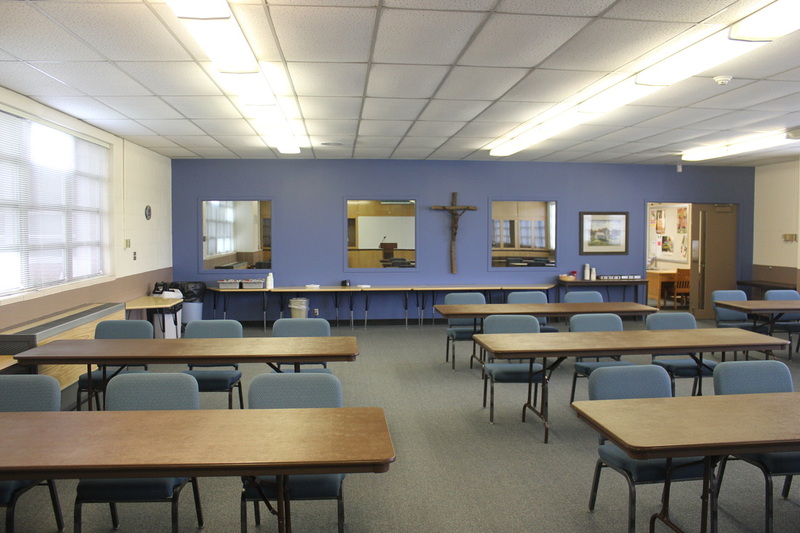 Wireless Internet public access is available throughout most of the Catholic Center. Fax and Copy service are available during office hours for a small additional charge.